Few things feel as great as cozying up in a nice, warm house during a cold, winter day. And while it may feel good in the short term, the cost of keeping your entire house heated during the winter season may have you wishing you’d used an extra blanket or two instead. If you want to keep warm and save energy, try heating only the rooms that are in use. Homes can take a massive amount of energy to keep at a warm temperature, which can lead high heat bills for homeowners. By being selective about how you use your heater, you’ll stop needless waste and still keep comfortable no matter the season. 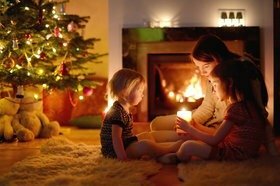 Decorating your home for the holidays can be a big morale booster during the winter months. Unfortunately, for those who cover their homes in thousands of lights, those decorations can prove to be costly. One way to help lower those electricity bills without compromising on decorations is by using LED lights. These energy efficient lights can last up to 25 times longer than traditional bulbs, all while using 75 percent less energy. Surviving the colder months by using as little energy as possible is all about being prepared. It’s important to plan ahead for the harsher winter weather by making sure that all your heating systems are in proper working order. By having a qualified technician inspect your furnaces and heaters in the fall before winter arrives, you’ll ensure that all systems in your home are working perfectly. If you have any questions about your heating systems or if you’re in need of a routine inspection, the qualified technicians at Wilson’s Refrigeration are more than happy to help you, no matter the time of year. Contact us today to schedule your inspection and enjoy the holiday season from the comfort of your own home.